Prosecutors in Massachusetts can understand that sometimes the lines between simple possession of drugs and possession with the intent to distribute drugs are blurred. Oftentimes those cases, if initially charged as “intent to distribute” cases will be reduced to simple possession. This usually occurs when the defense attorney convinces the district attorney that the defendant had a drug habit that consistent with the quantity of drugs found. Similarly, some drug trafficking cases are at times reduced to possession with intent cases when the quantity barely makes the trafficking threshold. Rarely however are trafficking cases broken down to possession cases. However, this is not necessarily always consistent with the interests. 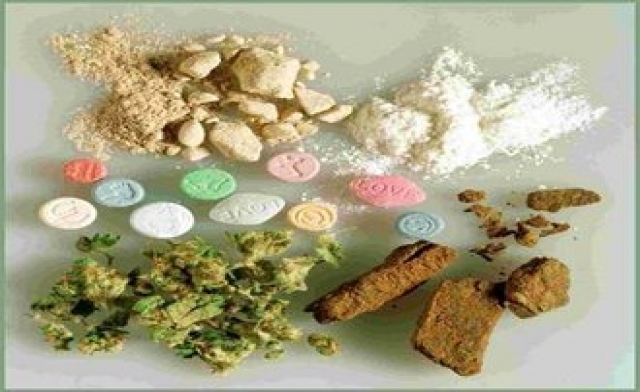 There are times when a drug trafficking charge should be reduced to a drug possession charge. Here is a classic example of a heroin trafficking case that should be treated as a heroin possession case. A man in his early twenties living in Portsmouth, New Hampshire had back surgery a few years ago. He was prescribed oxycodone for his post surgical pain. The young man quickly developed an addiction to the pain killing medication. His prescription ran out and he realized, or at least thought, that he still needed the oxys. A few more prescriptions were filled and finally the doctors said no more. Unable to live without the pills and unable to afford them on the black market he soon found heroin. He would drive to Lawrence to get a personal supply that would last a day or two. He eventually ran out of money and came up with a plan. He would collect money from heroin users he knew in New Hampshire and drive down to Lawrence to buy larger quantities. He would return with their drugs and since he was buying in bulk there was extra for him. Unfortunately, during one of these return trips he was caught. In his possession he had an amount of heroin consistent with trafficking and he was charged with this crime. Ultimately, with the assistance of an excellent criminal defense lawyer the man was able to plead to heroin possession. People have asked me about this case in Lawrence many times and wondered whether they too could get the same result for their drug trafficking case. While it is possible the result is very unusual. Your defense lawyer will have to prove to the district attorney that you have an extreme drug addiction problem. The problem will have to be supported by something concrete such as detoxification clinic records or drug counseling records or notes or reports. Your lawyer will also have to demonstrate that you have made no financial gain through drug dealing but are only supporting your habit. Your criminal history will have to be non-existent or minimal at best. Your lawyer will need to grab the ear of a sympathetic prosecutor. There are times when this result can be achieved but you are going to need a great lawyer to help get this done. The Law Offices of Stephen Neyman can help you defend your drug case. If you are in need of a lawyer call our office at 617-263-6800 or email us. We are ready to defend you and now is the best time to start your defense.